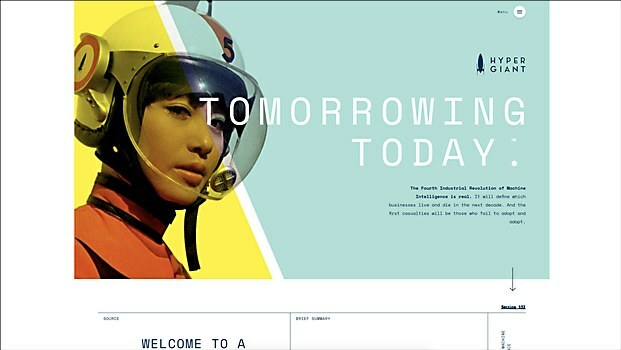 The new site for artificial intelligence company Hypergiant uses retro-futurism to create a multi-layered brand exploration. Background: Hypergiant recently launched as an artificial intelligence company operating out of both Austin and Dallas, Texas—serving clients in the upper tier of the Fortune 500. Developed by Xfive, the site intends to introduce the brand and its story to a commercially powerful audience in a way that conveys both creativity and otherworldly intelligence. 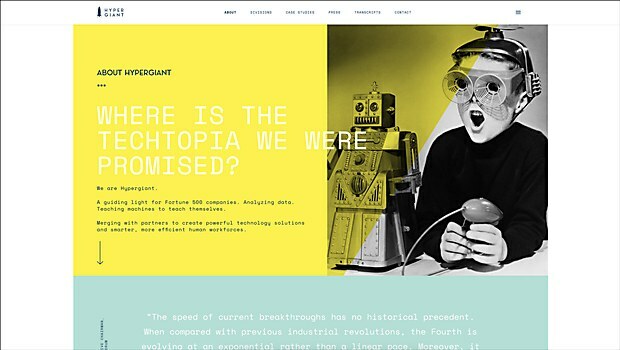 Highlights: The site is a striking blend of messaging, branding and design. Every detail serves to further the Hypergiant story told from a “retro-futurism” perspective. The typefaces, symbolism and imagery all reference the 1957 Project Blue Book conspiracy, when the U.S. federal government commissioned an investigation into UFOs. Challenges: At the start of the project, Hypergiant founder and CEO Ben Lamm brought the idea of retro-futurism. From there, we had to create a complete world around these two tiny words of concept and direction. 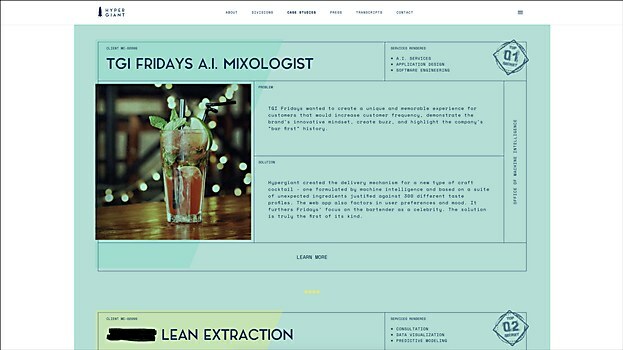 After weeks of unfettered thought and creativity, the result is a multi-layered brand exploration that delivers an informative yet genuinely captivating experience for users. Favorite details: This site is the definition of messaging and design coming together to tell a brand story. All of the headlines work concurrently and are thought provoking. The images are simply bizarre and mysterious. These details, coupled with the Easter-eggs, hover states, background details and the secretive language create a visual and lingual playground for the mind. Anything new: This is the first website we’ve created with so much purposeful and featured redaction. And the creative executions for these redactions are numerous—from Xs over peoples’ eyes to words blacked out with marker to blocked television signal hover states to forms that intentionally don’t work. We’ve never done anything like that. Technical features: The countdown on the homepage that progresses in the background, ending in LIFT OFF. Also, the hover state of the Division 0004 button that appears near the upper third of the homepage; taking that from idea to functionality was an interesting, precise undertaking for the development team and us. And Agent #4 on the About Us page. Who is that guy? 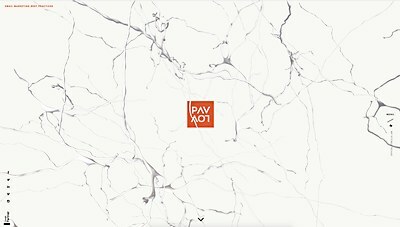 The new site for Fort Worth, Texas–based ad agency PAVLOV pays homage to the agency’s namesake with a series of playful experiments. The site for the Australian rock lobster exporter showcases its brand and promotes a stronger community culture. 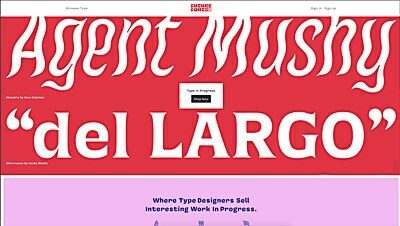 OHno Type Co. and Scribble Tone ’s collaborative site connects type designers and users in a community that is passionate about typography.